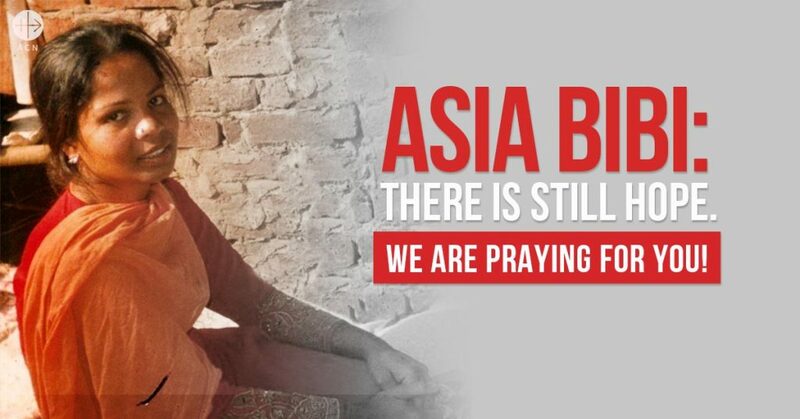 The Christian Conference of Asia (CCA) lauded Pakistan’s Supreme Court for the acquittal of Asia Bibi, an illiterate, Christian mother who has been spending nine years behind bars as she was convicted and sentenced to death in 2010 on charges of committing blasphemy. The Supreme Court of Pakistan has overturned the death sentence on Wednesday 31 October 2018 in a historic ruling. The General Secretary of CCA Dr. Mathews George Chunakara stated that “the reversal of the judgment of the high court, as well as trial court and setting aside Bibi’s conviction in a ruling by Pakistan’s Chief Justice Saqib Nisar, is laudable”. “It is credible that despite extremist Islamist groups and mobs clamouring for Asia Bibi ’s death sentence, the Supreme Court stood firm on its decision based on facts, not misguided emotions and insinuations, to overturn the blasphemy conviction and the death sentence”, added the CCA General Secretary. Mathews George Chunakara further stated that the decision of the Supreme Court was a hopeful sign of the commitment of the judiciary in Pakistan to uphold the independence of the judiciary, and protection of the rights of the vulnerable religious minorities in the country. The CCA General Secretary appreciated the bold steps taken by Prime Minister Imran Khan who addressed the issue directly and unambiguously as well as strongly defended the decision of the Supreme Court. “The prime minister’s determination of issuing a stern warning to religious extremists who have been agitating against the verdict to acquit Asia Bibi is commendable”, he added. The allegations against Ms. Bibi date back to 2009, when Muslim field labourers working alongside refused to share water with her because she was Christian. Bibi was subsequently convicted and sentenced to death in 2010, despite her advocates maintaining her innocence and insisting the argument was a personal dispute. Blasphemy is an incendiary charge in a Muslim majority Pakistan, where even unproven allegations of insulting Islam can provoke a violent and bloody death at the hands of extremist Islamists. It was reported that 62 people have been killed for blasphemy since 1990 “even before their trial could be conducted in accordance with the law”. Although Pakistan´s beleaguered Christian community rejoiced Wednesday at the acquittal of Asia Bibi, they live now amidst fear and lack of security. The blasphemy law supporters and Islamic extremists together with miscreants are organizing protests on streets, and pelting stones at police in main cities in the country. It was reported that several parts of the Country remain tensed of protests. Majority schools remain closed, hospitals placed on high alert. The railway network in Lahore is suffering disruptions due to protests and suspension of mobile phone signals. CCA urges authorities in Pakistan to ensure the security of the acquitted along with her family as well as the lawyers who have been consistently arguing her case in courts.